IDC estimates that by 2020 business transactions on the Internet business-to-business (B2B) and business-to-consumer (B2C) will reach 450 billion per day. Is your company among the millions worldwide handling consumer or corporate data collected online? If so, protecting that data should be your top priority. Look at your data as an investment – you’ve dedicated time, resources, and money to collecting, storing, and analyzing data to grow your business. But, if the worst happens, how will you recover that investment? That’s why, if your data is important and key for your business, you must have robust data backup plan. Outsourcing this to cloud backup providers like Softsys Hosting ensures that your data is safe from disaster and accessible whenever you need it. Most industry professionals recommend that you store your data in at least three places, on two storage types, with one copy stored off-site. Don’t trust something as precious as your data to anyone other than true professionals. Our cloud backup services provide a second copy of your data to ensure that nothing gets lost in translation and our professional teams monitor each backup to avoid any mistakes. Our cloud offerings also give you a secondary type of storage – and one that is separate from your physical location and therefore lower risk for natural disasters such as fire, water, etc. Data backups tend to be a topic of conversation only once something has gone wrong. Don’t make the mistake of neglecting your backup routine until you need it. Daily backups help make sure that all of your data is secure in the event of a disaster. This is especially true for businesses where colleagues are constantly adding or updating data. Ask yourself, what period of time are you comfortable losing as a result of a loss event? Most businesses can’t afford to lose more than a day’s worth of data. If daily backups sound daunting, let us handle them automatically so that you have peace of mind knowing that your data is protected. What benefit does a data backup offer if the data isn’t usable? Our professionals monitor and manage backups so that your data is in a good recoverable state when you need it. This management lessons the recovery time – or time needed to return to normal operations after a disaster event. At Softsys Hosting, we know that when your systems are down, your company is losing money. Therefore, we work to make sure that you are up and running as soon as possible – typically within a few hours. 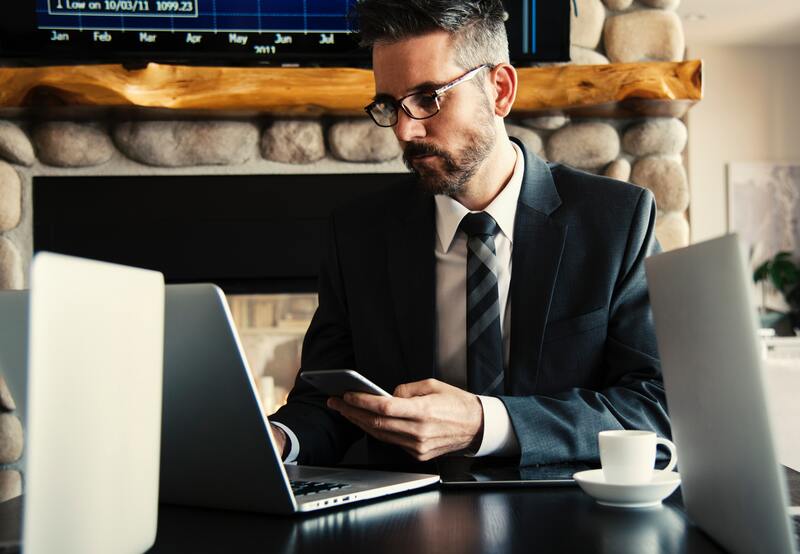 Forty percent of companies that do not have proper backup or disaster recovery plans in place do not survive a disaster. In short, your company depends on your data. Work with us to determine and implement a data backup solution that fits your company’s needs and let us do the heavy lifting to monitor and execute the backups – leaving you to do what you do best. What Major Hosting Options To Consider When Launching Your Web Store? After doing months of planning & research, lots of code work & testing, you’re finally ready to launch your online store. At this stage, you might have a question in your mind – is standard shared hosting plan sufficient to host eCommerce website, or do I need something special? Web hosting is probably the foundation brick of every web store, so it’s better to invest time and money you need upfront to ensure that you’ve got a solution that’s going to work with you for now and also in future. You really don’t have to worry much when you’re planning to use hosted solutions like BigCommerce, 3dcart and Shopify. It’s because these hosted solutions use their own Cloud and therefore most of the heavy lifting are being taken care of by themselves. But if you’re planning to host your own online store, then assessment and selection of web hosting options is critical. Redundant web hosting is a vital factor to ensure your customers would have a super smooth and responsive online shopping experience. What hosting options are you going to choose for your online store? Here are some factors to take into consideration. As we know that, web hosting services store files that build your online store and serve those files for viewing by those who visit website. Needless to mention that your eCommerce site will have hundreds of products, images, videos and a customer database. Therefore, you’ll need a hosting plan with enough disk space to store all of this, and enough bandwidth for your customers to access your products, including copy, images and other resources. No one wants to spend more money than necessary, and hence shared hosting is the prime choice for most of the websites. Though, shared hosting isn‘t always the best option for an eCommerce store. Mostly, it’s suitable only if you are likely to have limited products, limited traffic and are looking for area specific audience without any plans of expansion. Secondly, if you’re just a startup, then shared hosting would make a lot more sense. If you happen to choose a shared plan, choose a reliable shared hosting provider that can offer you a good response and round-the-clock customer support. It would be a plus if your web host offers PCI compliant shared plans because many online banks and payment processors require that your hosting is PCI compliant. The PCI compliant shared plans offer a safe and stable environment for your online venture. If you’re planning to add a number of products and soon you expect a huge traffic boost then it’s recommended that you opt for a VPS upfront. It is an ideal and more affordable alternative to more expensive dedicated servers while more secure and robust compared to the cheap shared hosting option. With VPS hosting, you can scale up your hosting resources in no time, at the same time your store will have an isolated and secure hosting environment eliminating the risk of being affected by a bad neighbor as you experience in shared hosting. The benefits of VPS over shared hosting arise from the fact that the resources are isolated and pre-allocated. For example, other users on same node are misbehaving: this will have little to no impact on your VPS. It does not matter what anyone else is doing on another VPS hosted on the same node – you are guaranteed that your speed and performance won’t be affected. If you’re alloted with 2 CPUs, then you’ll always have those two CPU’s available to your operations. Similarly, the amount of RAM and disk space you’ve purchased will always be available for your operations, regardless of what else is happening on the physical machine. In a nutshell, your resources are dedicated exclusively to your web store. Furthermore, if you possess server management skills, you might need root access to install some programs which is impossible with shared hosting. VPS has always been our suggestion for a serious ecommerce startup. Shared hosting is an adequate environment for testing not for production. Choose the VPS provider that is in business for more than 5 years and capable to offer you longer billing cycles, so you don’t have to switch to a new provider midstream. The good news is that VPS comes in as a happy compromise. VPS initial costs can be as low as $15-$20 per month and you can upgrade it later when your requirements grow. While VPS is an upfront step in the correct direction, and perhaps sufficient solution for relatively smaller storefronts that are just starting out, it’s really a dedicated server that’s probably the best option when it comes to ecommerce sites specifically. If you expect exponential growth in near future (as every business owner hopes) you might as well skip straight to the hosting solution you’re going to eventually need anyway. resources are critical for your success. If you’ve ever experienced a slow running ecommerce website hosted on shared or VPS, you’ll see that switching is like getting a supercharge when it comes to loading time, bandwidth, and handling high traffic loads. In the eCommerce world, shopping cart abandonment is a real issue that can be fixed with more advanced hosting option. Because, approximately 18% of carts abandonment are due to slow loading times, which might cost you thousands of dollars in lost sales. When you’re online, you are probably competing with lots of websites within the same niche. If your website does not outperform rival websites, this may have a large impact on traffic, conversions, and hence revenue. Website performance is one of the vital factors and should not be underestimated. If you don’t believe us, better believe Akamai, a leading CDN provider. According to Akamai, 47% of people expect a web page to load in under 2 seconds, and 57% of visitors will abandon a page that takes 3 or more seconds to load. In this blog post, we’ll discuss some of the most popular web hosting add-ons that will take your website performance to the next level. A soon as you enable the CDN on your website, CDN copies your static contents to geographically dispersed edge servers, and website load is divided among them. Ultimately, your website is highly available to your visitors. CDN is extremely useful for websites with heavy graphics and videos, but struggling with loading speeds. Malware is no imaginary problem, especially for the popular CMS like WordPress, Drupal, Joomla, etc. Hundreds of new virus definitions are spread daily across the Internet and antivirus labs have to detect them and find solutions. This malware can completely compromise the security of your site or erase sensitive data. So, it is essential to have a good antivirus software to detect & remove viruses before they harm your system. With traditional hosting service, you get a basic malware scanner that scans the entire home directory of your hosting space, identify the malicious code and quarantine it. 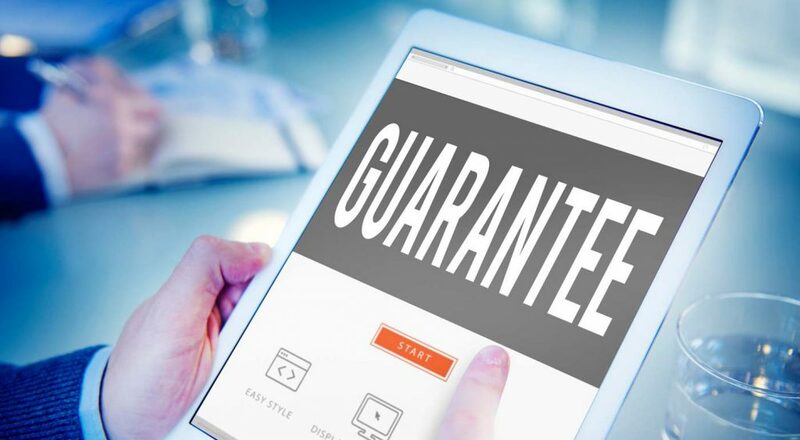 If you want to proactively protect your website then you should consider using a more professional solution like SiteLock, Sucuri Security, Wordfence Security, etc. This software periodically scans your website and notifies you of any issues. Some include a Web Application Firewall (WAF) which monitors your site constantly and looks for the top known threats like Cross Scripting (XSS), Injections, and Cross-Site Request Forgery (CSRF). This is not essentially an add-on to existing hosting, but indeed a hosting upgrade. SSD(Solid State Drive) is the latest computer storage device. The traditional hard drives are effectively mechanical devices, whereas SSDs are completely electronic as there are no moving parts to have to deal with the data. Data is just sent (written) electronically to the storage space or retrieved (read). Therefore, SSDs are significantly faster & more reliable than their SATA or even SAS predecessors. To measure the speed of a hard drive, a metric called IOPS (Input/Output) is used. It is defined as the speed at which data can be written to or read from the disk. The higher the IOPS, the faster the disk. If IOPS is used as a benchmark then the speed of traditional hard drives like SATA is around 180 IOPS. Whereas the speed of SSD drives is measured between 4,600 to 15,500 depending on disk capacity. In summary, with SSD hosting, you get the highest performance, faster database queries, faster caching which indeed is the formula for more traffic, more sales, and more revenue. If you have an existing hosting plan, then by upgrading it to SSD hosting, you’re going to see instant performance gains. For frequently updating sites, offsite backups are vital. When your site is hacked, the first thing you would do is to revert to a previous clean version of your website. What if you don’t have a clean, recent backup of your site, probably you’ll be losing information. If you have malware-free backups of your site then restoring would be much easier and quicker process. A professional automated backup service takes regular ‘snapshots’ of your data. It also allows you to restore the data from different restore points rather than having to use available old backups. 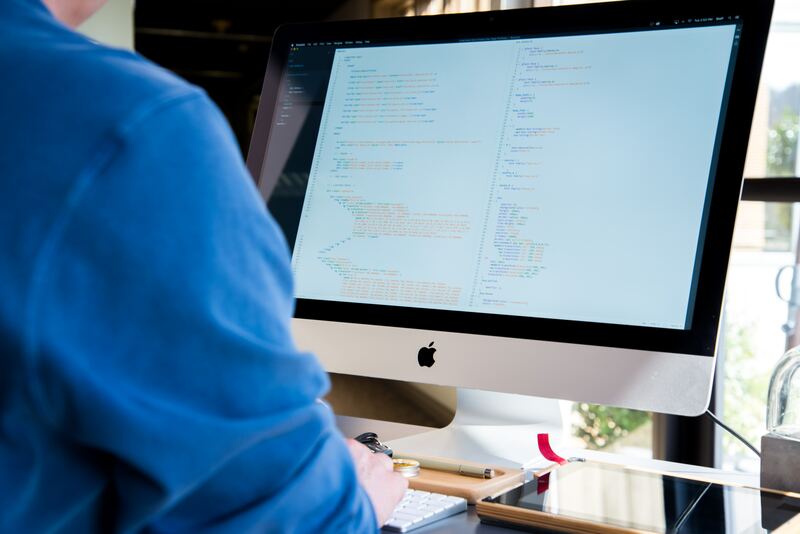 With paid backup services, your backups will be sitting on a secure remote server so when the entire server is hacked, you can easily restore it from the offsite backup. You get only basic functionalities with free DNS services provided by a domain registrar or your own hosted DNS server. All queries will be resolved from a single physical location that makes your site vulnerable to the single point of failure. Thanks to paid DNS services, mostly managed DNS servers are cloud-based, which gives you a layer of redundancy. Now suppose a visitor far from your DNS server is trying to access your website, the DNS response can take a while to reach them. With paid service, all zones will be synchronized across all points of presence (POPs) simultaneously. For more advanced functions and enterprise-class performance, it makes sense to opt for a managed DNS provider, because “Free” DNS services are not built for efficiency and performance. Managed DNS services give you highest uptime, DNS performance, speed, and redundancy. Shared hosting is the most common web hosting type. It’s super easy to setup and costs much less compared to VPS or dedicated hosting. No wonder, site owners choose shared hosting services as their first web hosting option and eventually switch to bigger options. When your website gains the popularity and starts receiving a significant amount of traffic, your hosting plan should also grow with it to accommodate growing business needs. At this stage, it’s vital to track the increasing traffic inflow, evaluate the current resource, and be prepared to take them to the next level. Sometimes it is difficult to know when it is high time to make this move from one hosting type to another, but there are several indicators that point when this switch becomes inevitable. In this post we will outline several signs that you’ve outgrown your current web hosting account. Does your site perform slow lately? If yes, it could be that your website exceeds the hosting resource limit and your application is just running out of juice. The fact is that shared hosting is capable to meet hosting requirements of the basic sites. That being said, when you’re hosted on a shared server, the server resources, such as CPU, RAM, bandwidth, and disk are shared evenly amongst all the websites on that server. It’s quite possible that some resource hungry websites may chew up more resources than others causing the rest to experience slow performance. Obviously, sluggish performance annoys visitors and eventually you may lose their loyalty and sales. Fortunately, this dilemma can be fixed easily spending only a few dollars extra each month. You can simply upgrade to a VPS hosting plan which enables you to scale up or down depending on your website needs. Indeed, VPS is a better choice as you don’t need to compete with other clients for resources since allocated resources are dedicated to your VPS only. Additionally, VPS can be customized in terms of server resources allocation. There might be some extra monthly costs, like a control panel license, OS licensing, or managed services in case you don’t have basic server administration skills. With the shared hosting plan, your server resources (disk space, bandwidth, CPU time, memory) are shared with several hundreds or probably thousands of other websites. In case one of those websites start acquiring excessive resources, then all of the other websites hosted on the same server will start to run slower or might even crash due to the overload on the server. If you face frequent downtime with your existing hosting package, you should consider moving to a more stable solution like a VPS or dedicated server. Your basic hosting package is ideal to cater to websites with relatively low traffic (approximately 2000 visits a day). If you are anticipating more seasonal traffic in coming weeks or your site traffic is increasing day by day you should immediately consider the next hosting option: either VPS or dedicated server. As we know shared hosting always comes with certain limitations, in case your site becomes too huge to get handled it might ending up in a website downtime. So before it gets too late, it’s’ better to switch to the next option. Heavy websites process a number of PHP requests with multiple complex SQL queries running in the background. Such websites demand dedicated resources to run optimally, and when allocated resources are inadequate its loading time increases. If your site’s loading time is high, you should switch to VPS or dedicated hosting where you don’t share, but maintain your own hosting environment. Sometimes you want to run some custom software on the web server where your website is hosted. Obviously, your web hosts won’t allow you to install that particular software for you only since it may impact other customers as well. Sometimes, you want complete control over your hosting account to perform more advanced actions, such as installing desired software, or setting elevated permissions whenever you want to. Some custom applications require higher privileges compared to that typical shared hosting can offer you. In this case, you’ll require an advanced hosting alternative where you can get administrative access to your web server. An example of this is when instead of IIS you want Tomcat Apache to run Java web applications. Although shared servers are equipped with firewalls and decent security software, still your project is at risk as your neighbour website may leave some security holes open and yours might get hacked as well. With a dedicated server account, you get isolated and secure hosting environment along with your own set of resources preventing you from data hacks or getting blacklisted on RBLs. That being said, if you are processing any sort of sensitive information like credit cards you may not want to share a server with anyone. In the lifecycle of any business, there are certain stages, rites of passage, or turning points that enable further growth. Remember when you started out and you wore 150 different hats from sales to HR? As your business grows, you have the luxury of specializing tasks – both for yourself and your team. One of the most beneficial points in your business’ growth is the ability to turn over your technology support to the professionals. Whether you’ve managed your IT personally or tasked your HR manager to take care of it, there comes a point when your business has scaled enough that IT becomes more than just a necessary headache – it can become a strategic advantage to fuel further growth. 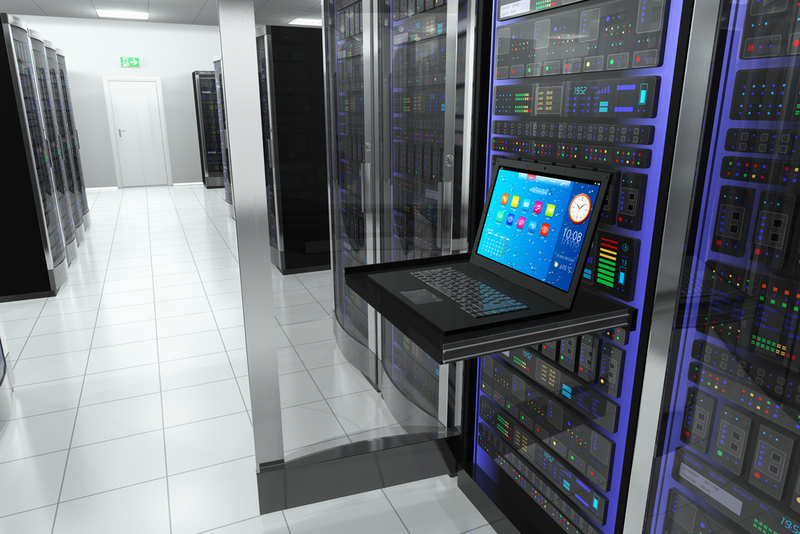 How do you know if your business could benefit from managed hosting? IT projects sit on the to-do list for weeks. Updating your website, technology, or adding systems get pushed to the back burner because you don’t have time to research how to do it, then try to implement it. Plus, what if you accidentally break something? Without a dedicated professional to manage your online assets, it’s difficult to make necessary improvements. You know your technology could better support your business. Do you have the same hosting provider, support team, and infrastructure as you did when you started your business? Maybe your team, client base, and revenue has grown but your technology hasn’t grown with it? Finding a hosting provider that can scale with you and provide services above and beyond your current needs is crucial to businesses who are looking to maintain a steady growth. New employees throw a wrench in your process. New employees mean new email addresses and phone numbers, not to mention new hardware. If you’ve ever had a new employee show up on their first day without their computer ready for them to use and their phone set up, it may be time to seek out some help. You dread change because you’re not sure how it will affect your IT systems. Above and beyond new employees, an acquisition, software upgrade, or even new data regulations all could have major impacts on your infrastructure. Take the recent changes to information and data storage with the GDPR. Wouldn’t it have been nice not to stress about what that meant for your business and simply rely on professionals to ensure your compliance? When you experience technical issues, it feels like you have to go around in circles to find an answer. Sick of trying to track down the person or support team who can handle your issue? Feel like your issues get passed from person to person with no one taking responsibility? With managed hosting services from Softsys Hosting, we know that the buck stops with us. Our support team is available around the clock to make sure your issues are solved ASAP. Think your business is ready to turn your IT into a strategic advantage? Contact Softsys Hosting today to learn more about how we can help. When the time comes to take your business online, the process can be overwhelming. For many, web design and hosting seem like a foreign language. Others start building their website, only to get stuck and let it languish for months due to frustration and time constraints. Here at Softsys Hosting, we like to think of building a website like building a house. There are 5 essential components that every business – large or small – must have to be successful. Domain: The first step to building your business’ online presence is choosing a domain name. In our house analogy, the domain name that you choose is equivalent to your address. Where people will look to find information about your business. Make sure to choose a name that represents your business, is easy to spell, and is available. Purchasing and registering a domain name for your business will allow you to begin promoting your upcoming site ASAP. Hosting: Once you’ve chosen your address, it’s time to determine where you will build your site. The hosting provider that you choose will essentially provide the “land” on which you’ll build your business’ online home. As with real estate, there are many variables when it comes to hosting. 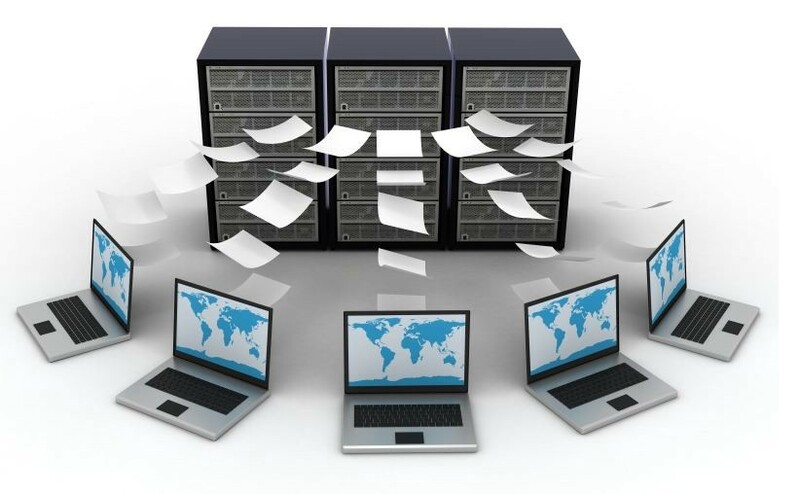 Do you need a dedicated server or will shared hosting be sufficient? How much data storage will your business require? What are the support requirements that your team will need. 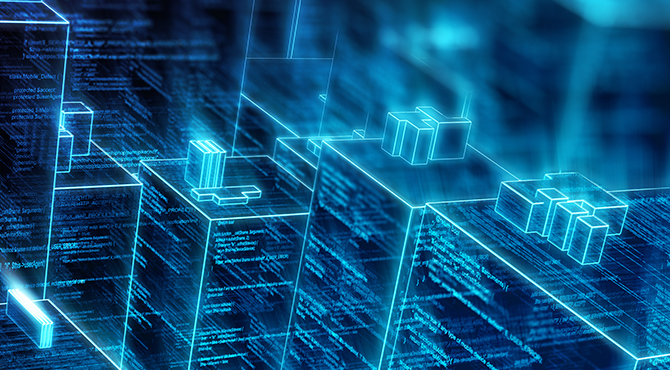 We’ve put together a guide to help you determine what hosting provider is right for you! 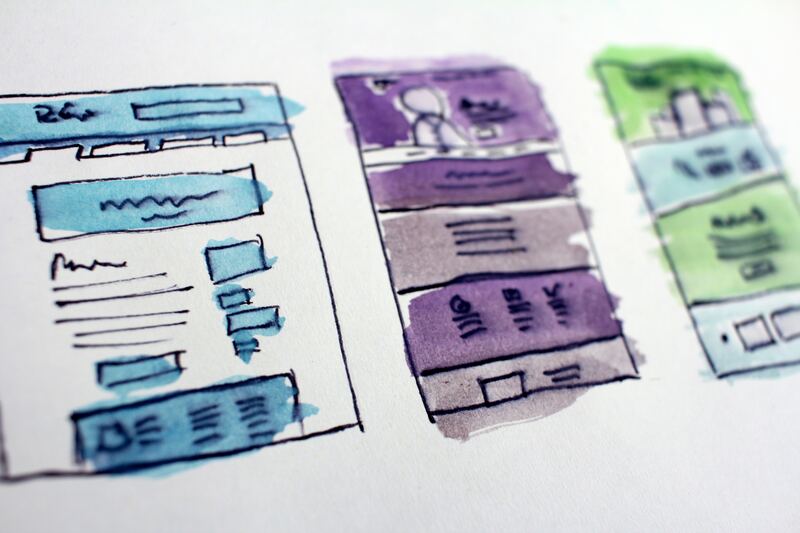 Strategy: The strategy for your site is like the architectural design of a house – it’s tough to begin building without it! Before starting to build, identify the goals for your site as well as its’ necessary functionality. What pages will you need? What do you want site visitors to do when they come to your site? How do you want them to move through the information? Platform: When it comes to choosing a website platform, it’s important to evaluate the purpose of your website. Will it be a simple blog? An ecommerce store? An online portfolio? Also consider how user-friendly your site needs to be on the back end. Think of your website platform as the material that you’d use to build a house. There are many options – all depending on the landscape, climate, and needs of the house. WordPress is the most popular web platform for businesses, but Squarespace, Shopify, and Wix all have their advantages as well. Content: The address has been chosen, walls put up, and now it’s time to fill your house with your belongings – the things that make you uniquely YOU. The same is true for your website. The images, content, and design of the site are what set you apart from your competitors. Consider carefully how you want to position your business, products, or services. As with interior design, you want to encourage readers to “flow” through your website by inviting them to visit the next page, submit a questionnaire, or contact you for more information. One of the reasons that we hear businesses give for staying with their current hosting providers (even if they’re not happy with the service) is because they are unsure about how to make the transition from one host to another. We get it! Transferring all of your business’ important data to a server that may be thousands of miles away can be intimidating. The good news is that we’re here to help. Because making the switch to a new hosting provider doesn’t have to be stressful, as long as you’re organized! When deciding whether to take the plunge, consider the strategic advantages a new hosting provider might offer your company. Many hosts will also help you transition to their servers to make sure you’re up and running smoothly! Still a little nervous? Follow these steps to make sure your transition goes off without a hitch! Make a plan to ensure that you have as little downtime as possible throughout the transition. Consider moving your files over the weekend so that there is little disruption for your clients and employees. Determine who will be responsible for what tasks during the migration. Evaluate how much of the process your new host will be handling. When you have a plan in place, inform your clients and followers that you are going to be making the switch ahead of time so that you can reduce the number of website visitors during the transition period. Not sure where to start? Here are the key things to consider when choosing a new host. The goal here is to make sure that you don’t lose any data or functionality while you’re making the switch. If you backup appropriately, you can move to the next step with peace of mind knowing that you can fall back on your existing host, if necessary. Depending on the structure and format of your website, there are several ways to DIY your backup. However, we recommend checking with your existing host to see if they provide backup services and can send you everything to give to your new host. Most web hosting providers offer easy transfer functionality or assistance in making the switch. If they don’t offer personalized assistance, they will likely have applications to help upload your site and files. This is especially true for sites that use common CMS such as WordPress. Ultimately, you’ll need to load all of your site’s files to the new IP address. Confirm that everything is working properly and is organized correctly before you begin sending visitors to the site on the new server. Some hosting companies can provide a staging platform that allows you to test your website while still technically in “development mode.” This is helpful in allowing you to preview your newly hosted site and remedy any problems before the site goes “live”. If you have email addresses associated with your domain, this is the time to test and confirm that they are functioning properly, as well. Contact your domain registrar to update your site’s DNS record to the new host’s servers. Essentially, this is what tells your domain where to point visitors to when they type in your domain name. You’ll first need to identify the new server’s address. Then, update the DNS records within your registrar’s settings. Most registrars like Godaddy and Domain.com have guides for how to do this yourself listed on their sites. Check your 404 logs consistently to make sure that assets like images or files weren’t left behind in the transition. If you notice an uptick, this will allow you to replace any non-working links to restore your site to full functionality. Transitioning to a new web hosting provider doesn’t have to bring headaches. However, if this sounds like a bit too much for you, consider a host that will handle the transition for you and confirm that everything is working as it should. Don’t hang around with a hosting provider that’s not working for you any longer. Make a switch that will support your business long-term, today! Looking for FAST connectivity to the entire Middle East region? Our new UAE servers are housed in an enterprise location and offer access to the surrounding area along with global connection. They are perfect for businesses that require data to stay in the UAE and want to work with a provider they can trust. Not located in the Middle East? These servers are still a great solution for businesses that want to offload part of their data to a secondary region. All UAE Servers have 500GB SSD included and feature 100% premium hardware components to make sure you have the ultimate peace of mind. Get connected down under with our brand new Sydney data center! Customers requiring Australia-based server hosting and direct customers from Sydney, Melbourne, Perth, and other Asia Pacific locations will enjoy fast network performance and guaranteed 99% uptime from our new Australia servers. All Sydney servers have DDoS protection included and are priced very competitively compared to other hosts in the region. 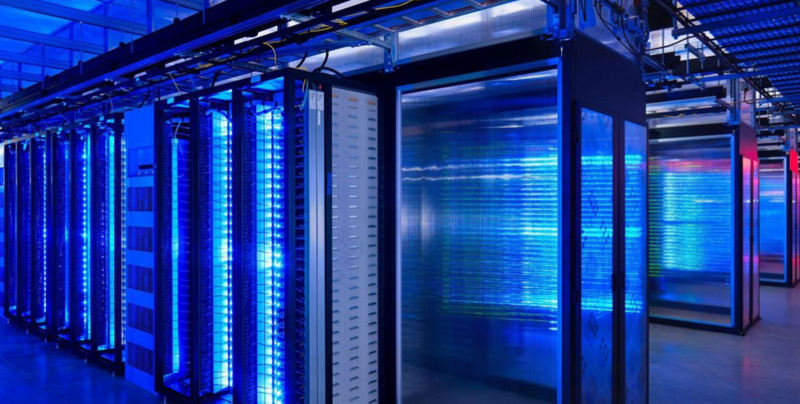 Our flagship server management services will also be available for dedicated servers at both new locations! Want to reserve your server space in one of our brand new locations? We’re offering a $35/month discount for LIFE for everyone who signs up by May 1st. Use the code 35OFF-UAE-AUS at either of the links below to get started. We look forward to serving you from Australia and the UAE! What IT Services Are Required To Launch An Online Store? With a recent boom in web technologies, an online store has become the necessity for every business regardless of its size and type. Whether you run a small grocery shop or large food chain, web sales are essential for every business, and those who don’t sell their goods online may quickly see their customers taking their money elsewhere. As per the study conducted by comScore, 1 in 6 U.S. dollars are spent online. The shoppers prefer online shopping because it saves time, provides them with wide choices at one place without need to visit crowded stores. 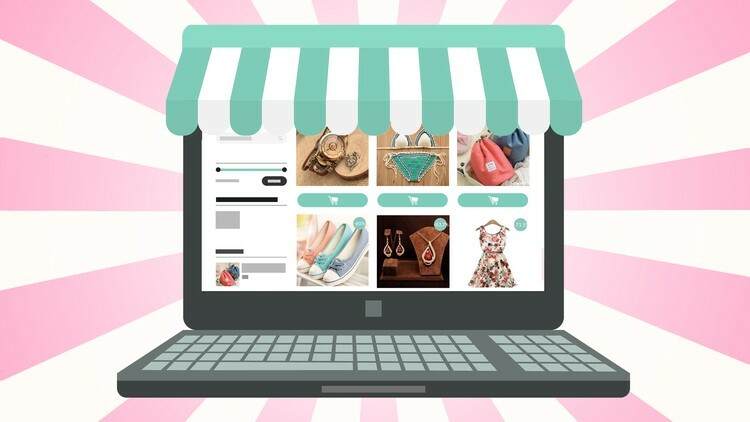 Businesses can sell their goods online by running their own eCommerce stores or selling their products in established online marketplaces such as Amazon, Newegg or eBay. To run an eCommerce store businesses require some important IT services and pieces of software. In this blog post, we’ll discuss some of the essential IT services you’ll need to launch your first online venture. While you open an online store, pre-launch planning has a major role to play. Most of the business owners overlook this vital factor and book the loss. If you’re planning to launch an eCommerce store within a year, at least 6 months should be given to pre-launch planning, and rest of the time to development & product improvement cycle. On this note, an eCommerce store built with the months of pre-launch planning takes very less time to get online and there are more chances it becomes a successful business venture. Thanks to the latest tools and ready-made components, opening an eCommerce business is relatively easy. Here is a rundown of everything an entrepreneur must have to open a web store. Your online presence must have a unique name to get identified on the Internet. This unique name is called the “domain name”, which is your online address at which your visitors can find your online store. As a pro-active business owner, you should decide and book your choice of domain long before the actual launch of the store. Ideally, before you start building your store, your domain should be registered. Nowadays, there’s a variety of domain extensions to choose from. The most popular domain extensions are “.COM” or “.NET.” Note that your domain name should match the business’s name as closely as possible. For example, if you are selling web hosting service, then your domain should in most cases contain keyword “hosting” in it. Once the store is developed, you’ll need a web hosting service to publish the website online. The web hosting services store the web files that build your online store and serve those files for viewing by those who visit the site through its domain name. The web hosting services itself is a huge subject for research, as you may find many of web hosting service types and probably thousands of web hosting providers. You are advised to choose a web hosting type in accordance with your business requirements, technologies used to build your store and anticipated web traffic. Your website is an online presence, and home of your business on the Internet. It can either be a simple static web page or a huge complex website coded in server-side scripts like ASP.NET, PHP containing hundreds of pages. Your website must feature the products you want to sell and also it should encourage the shoppers to stay and make purchases. The website’s design should be clean, insightful, mobile-friendly and it must contain the detailed information about every product you sell. In order to sell the products online, you’ll require shopping cart software. These pre-coded specialized programs are available as an attachment to existing website or in form of a plugin to add an eCommerce functionality. On the other hand, some enterprises develop their own fully-customized shopping cart software. This software allows the shoppers to search the product inventory to check what’s available, select the products they’d like to purchase and eventually buy them. Some advanced shopping carts are also capable to control the inventory, set up shipping and calculate taxes according to local tax laws. We all know that online businesses can’t accept cash payments through the website, and therefore, they require a merchant service. These merchant services handle the transactions made through credit card, debit card, internet banking and online wallets. The merchant service functions as a link between the business/customer and credit/debit card company. It processes the payments by debiting the money from a credit card account holder and depositing it into the business’s account. In some cases, merchant services provide the businesses with a virtual account to hold the payments made through credit/debit cards. Once the funds have been approved, the merchant services will transfer this money to business account charging a small commission or service fee. Due to increasing speed of wireless internet access and advanced feature-rich smartphones, the mobile application has become an essential part of any business. Your business’ presence on mobile devices is equally important as your website, as more and more people are buying directly from their smartphones. On this note, online businesses having mobile application are at a clear advantage over those that do not have. To appear correctly on the mobile device, your website has to be mobile-friendly and responsive. In other words, it should be optimized to change size and layout dynamically for easy browsing on smaller screens. You can also build a special application for various mobile platforms such as Android and iOS. Apart from above major IT services, you’ll require an online marketing services to stand out your store from the rivals making it more popular across the Internet. The businesses can adopt various marketing options like search engine optimization (SEO), pay-per-click advertising (SEM), email marketing, content marketing and social media campaigns.